When I take a laptop to a gig I like to have it closer to eye height, so a laptop stand comes in pretty handy. 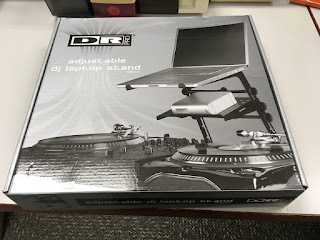 I recently picked up a DR Pro model DRDJLS1 DJ laptop stand, and I thought I would let you know how it is working out. The DRDJLS1 is billed as being easily adjustable, and I am not going to argue with this very much. The way that is constructed allows the height to be adjusted from 8 inches to 12 inches, and the width from 9 inches to 11 inches. 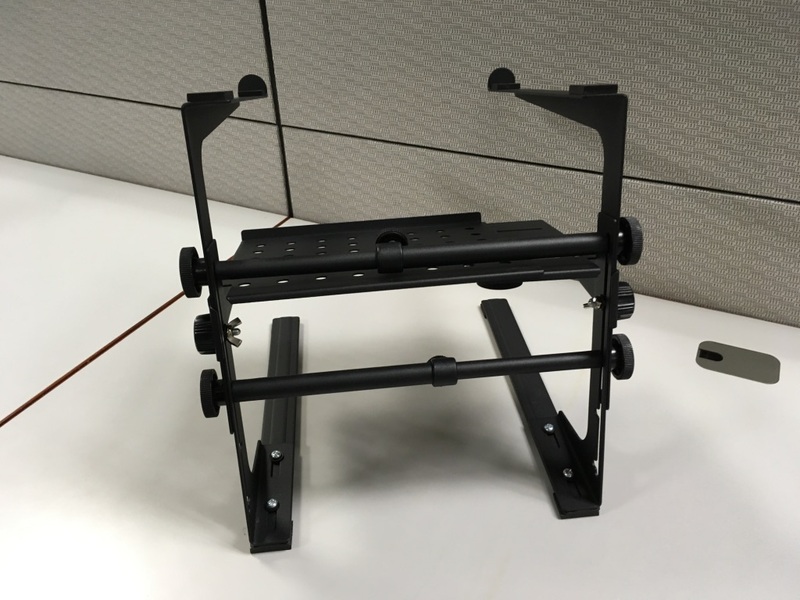 There is also flexibility in mounting this unit, as it can be set on a table, or mounted to a case with sturdy clamps that are included in the kit. An added bonus is a removable shelf that is a handy place to put accessories, like effect pedals, hard drives, and whatnot. Whatnot. 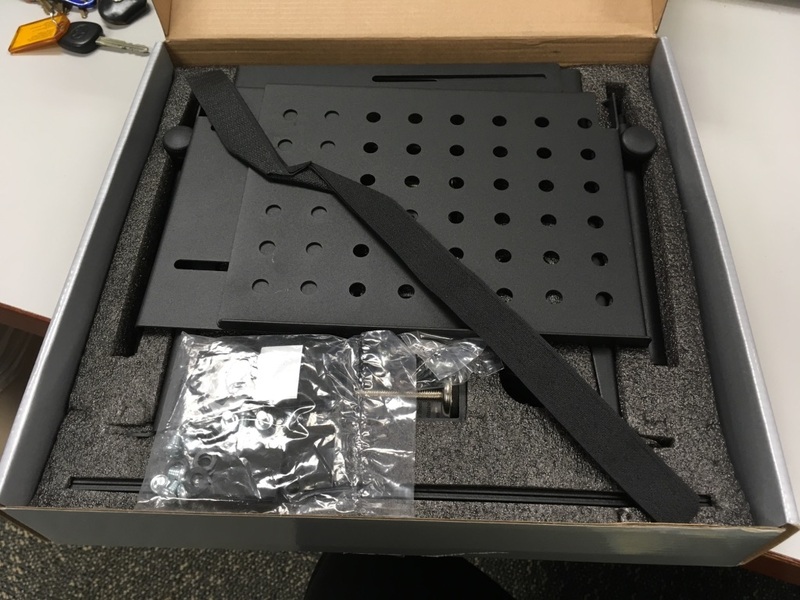 Assembling this laptop stand was pretty straightforward, as all of the parts were well-organized in the box and the instructions were pretty clear. The only tool that was needed for assembly was a Philips-head screwdriver, and may of the pieced screwed together with plastic knobs. Everything lines up ok, and a lot of extra screws were included. This is obviously a quality piece of equipment, made of heavier steel than other stands I have seen on the market. Of course this means it is heavy, and it comes in at around 5 ½ pounds, which makes it not very fun to cart around. This bulk makes the DR Pro laptop stand really solid, and I am not worried about it falling apart. I am annoyed by the lack of adjustment for the angles of the laptop stand and the shelf. Also, it does not easily break down. 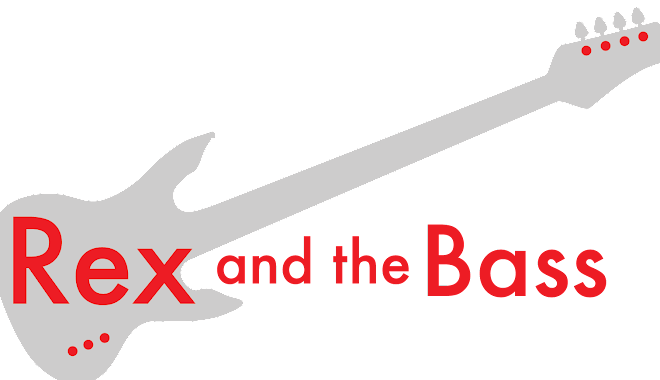 It actually has to be disassembled if you want it easier to stow for your gigs. Although it is well made, there are only a certain number of times you can unscrew things before the threads start to wear out and the plastic knobs start to crack. The DR Pro DJ laptop stand is a pretty good piece of equipment, but its weight, the lack of angle adjustment, and the inability to quickly break it down will relegate this to home use only for me. The marketing of this stand exacerbates this situation, as none of the sellers I found online mention any useful details about the unit, such as its actual dimensions or its weight. 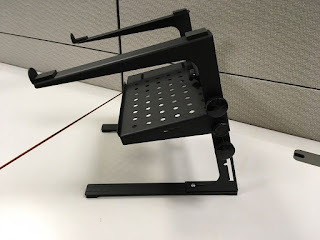 This is a little late, but I ran across this post through a Google search for "keyboard laptop stand" in which I'm looking for some kind of stand that will somehow slide under my Nord Electro 2 keyboard and then support a laptop. These are incredibly hard to find! Basically I have a Kurzweil Mark 10 piano (that functions as an upright, basically) and I have the Nord sitting right on top, both against a wall. But putting a laptop onto the Nord is not possible, yet where the hell am I *going* to put a laptop? 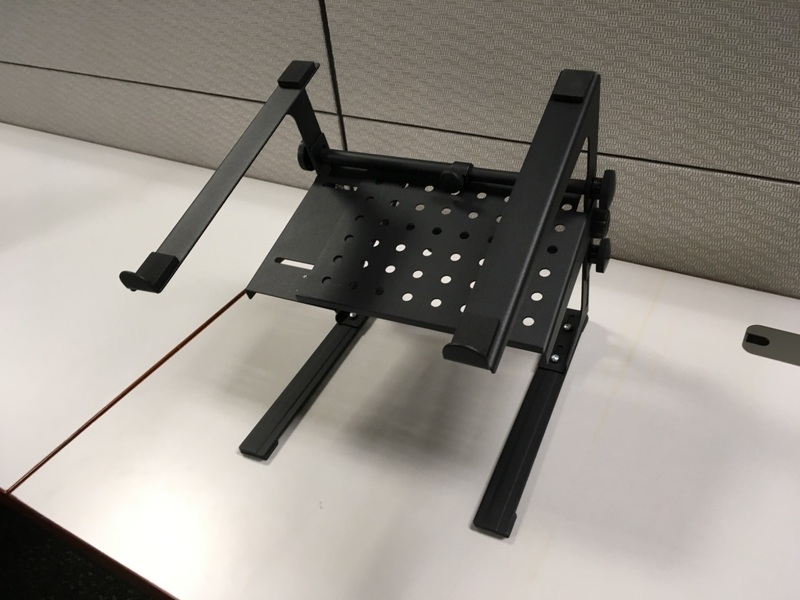 I was thinking maybe this stand would slide under the Nord and sit on top of the piano but I can't tell from your description whether or not the base is thin enough to go under the Nord. Also, where I would go about purchasing one . . .